The beautifully fragile flowers of eyebright create a distinct and soothing herbal tea that has been enjoyed since the Elizabethan era. 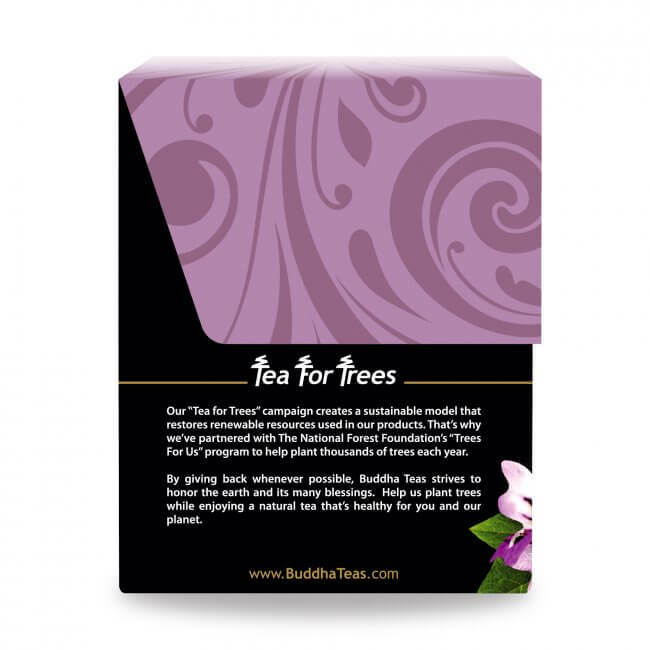 Buddha Teas ultra-grounding Eyebright Tea, when brewed just right, is not clear at all. Isn’t that ironic? 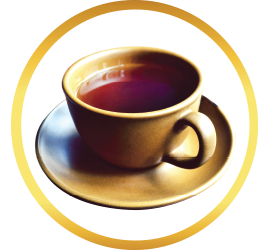 When brewed properly, Eyebright Tea resembles the gemstone Tiger’s Eye, whose qualities combine earth energies with that of the sun, and esoterically can help you manifest ideas into reality. Eyebright is a short flowering plant native to alpine meadows and pastures across Europe and western Asia. It is characterized by tiny white flowers whose ornate petal shape somewhat resembles an orchid. Its scientific name is euphrasia, a name it earned from Euphrosyne, a figure in Greek mythology known for her joy and mirth. 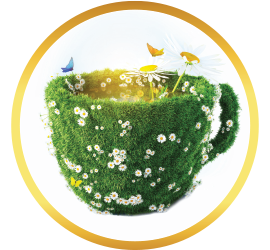 Eyebright Tea is made from the petals, stems, and leaves, and has been enjoyed at least since the Elizabethan era. 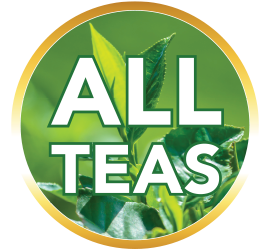 As a tea, eyebright offers a pleasantly subtle, rich taste, and is well complemented by a little sweetener. 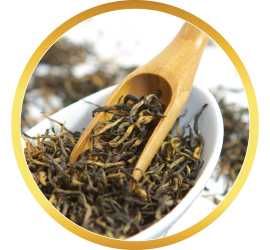 Because you're an avid tea lover, we suggest you save more by making bulk purchases of Eyebright Tea. This way, you're ensured that your tea stash is well stocked and ready to enjoy as desired. Purchases of $50 or more are eligible for FREE shipping. Sign up to receive regular, informative emails, which always include a coupon code for added savings. I love this tea. Very good. I recommend. Review Title: Such a delight! Since I purchased it, I drink it daily. 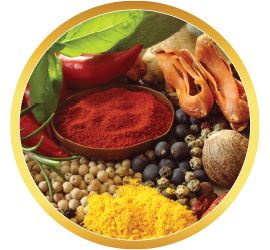 The taste, quality, and everyhing else about it offer a great deal of satisfication. It awakens me without the awkwardness of a caffeine rush. I cannot believe I waited this long to delve in the box of such a great tea. To add to the delightful experience, shipping was great! My husband started having problems with his eyes watering and hurting. 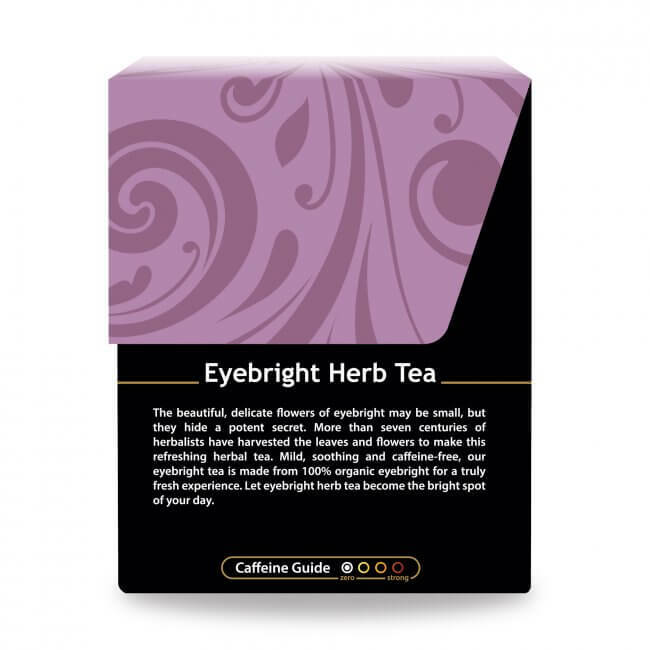 I started looking into my natural health books and tea info and found a box of eyebright tea. 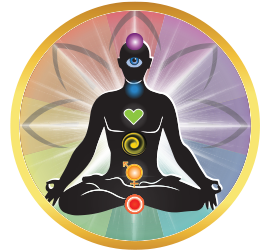 I read good reviews and how to use it as well what it was good for. 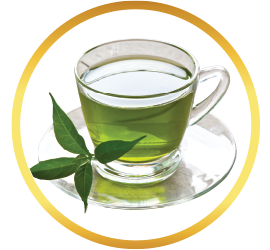 We were using an Eyebright tea from another company and it was just not giving good results. When I ordered Eyebright tea from my health food store it turned out it came from Buddha tea company. 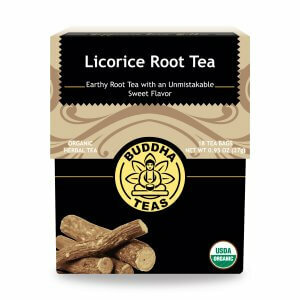 This is a much stronger tea and the results are Excellent. I've been having some eye issues lately, and I wanted to try eyebright tea, both to drink and use as a compress. I tried another brand, which was fine for the compress but tasted a little too medicinal. 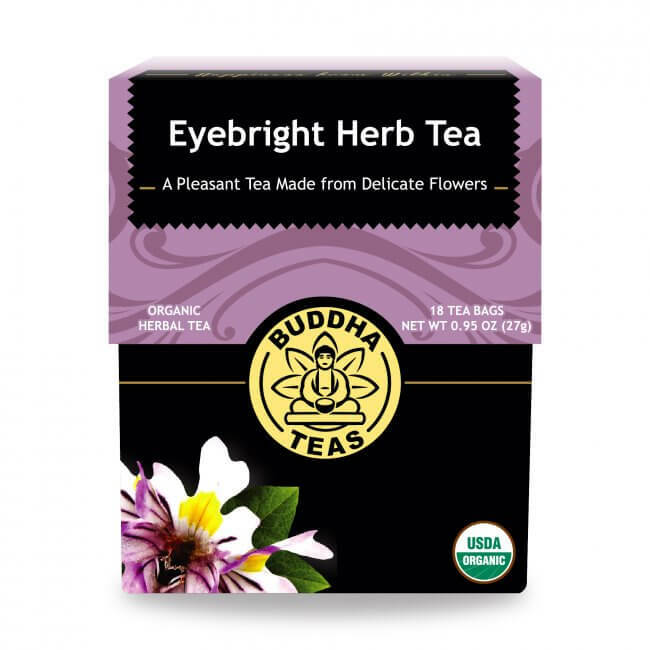 The Buddha brand eyebright has a nice delicate taste that surprised me. 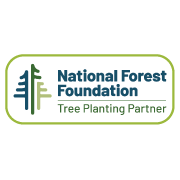 It's beautifully packaged, and I like that the company partners with the National Forest Foundation's Trees for US program to help plant trees across the country. Another surprise was how quickly my package arrived. 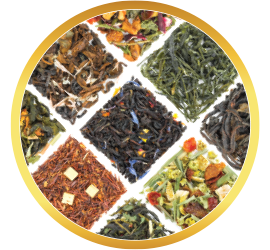 All in all, I'm very satisfied with this tea and will try other varieties of Buddha Teas. Awesome service! 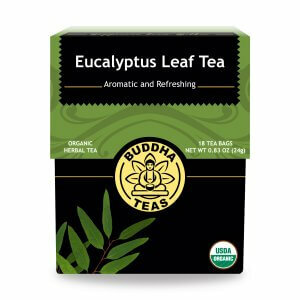 Awesome products, I’ve purchased a lot from Buddha Teas. Esta hierba fue recomendada por un Dr. Naturopata para ayudar a un miembro de la familia con un incipiente problema de Macular Degeneration en proceso. Ese proceso se estabilizo con el uso diario e este Eyebright Herb Tea. Es un producto de calidad, es grato comprar en la web, y el servcio al cliente es muy bueno! My eyes are staring to develop a serious health concern my Dr told me. I am 65 years old and want to put off having the problem removed from my eye as long as possible. I read that eye bright herb is good for eyes so I thought I would try the tea. I drink it every night before bed. it is very soothing and I enjoy the taste. I have used it now for a few years. Since using it every year I go in for my eye check up my Dr has told me my concerns have not gotten any worse that is a good thing and I think I can see just fine only need glasses for reading. 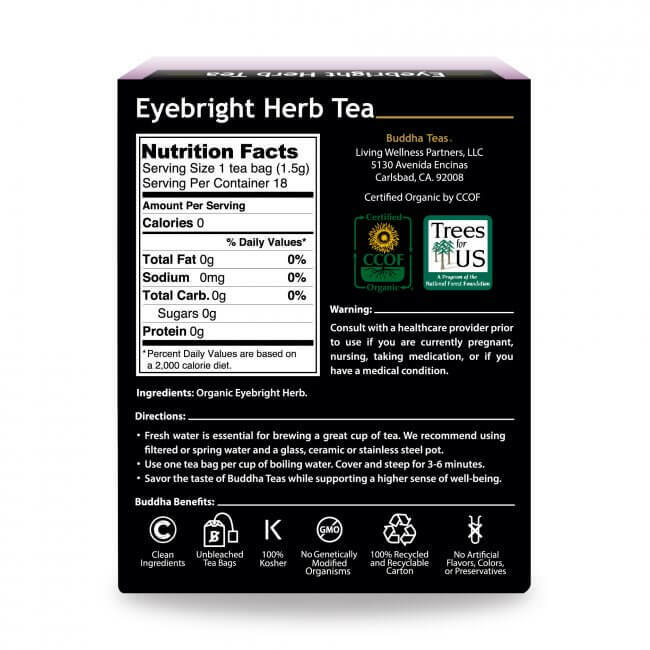 I do tell any one I know that is having eye issues to try Eye bright herb tea I know it works for me. Review Title: My new favorite tea company. Eyebright tea is relieving my granddaughter funky eye issue.